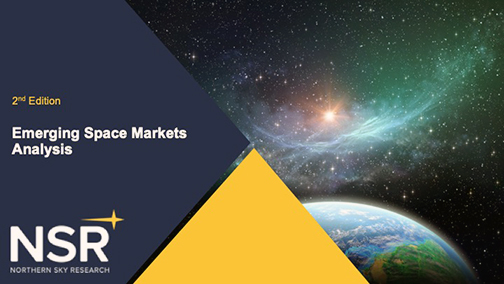 Just released is NSR’s Emerging Space Markets Analysis, 2nd Edition (ESMA2) report which tracks more than $17.8 billion that has been invested in Emerging Space companies during the 2000 to 2018 time period for the more than 600 companies founded during those years. The last two years (2018 and 2017 combined) saw tremendous growth with more than $7 billion invested in Emerging Space companies. NSR’s Emerging Space Markets Analysis, 2nd Edition (ESMA2) study identifies the roles of strategic investors, wealthy entrepreneurs, and venture capital (VC) in the Emerging Space market, as well as angel investors, governments, foundations, and alternative means of funding startups. “77% of Emerging Space investments are equity based, and VC investments comprise an increasing share of the pie and will continue to grow, making it an important source of emerging market disruption,” adds Pal. This share will rise moving forward, as business plans and R&D mature and with many investors increasingly bullish on the market. As the young market is heading towards maturity, it will create winners and losers along the way. More M&A activity is expected in the future, and exits for investors in the midterm can be expected. Many of the companies are still in the R&D phase, but an increasing number of the companies are entering operations, forming partnerships, and trying to enter the market quickly to get an early entrant advantage as some markets already show signs of saturation. Sumanta Pal, NSR Senior Analyst and the report's author, said that an increasing number of startups are receiving venture capital and follow-on investments as they complete their promised milestones. The investment community is funding diverse applications along the industry value chain, and traditional means of financing are increasingly available to Emerging Space players as well.